Tis tasting is about a favorite brewery of mine, namely Oomuraya Brewery in Shimada City, Shizuoka Prefecture! 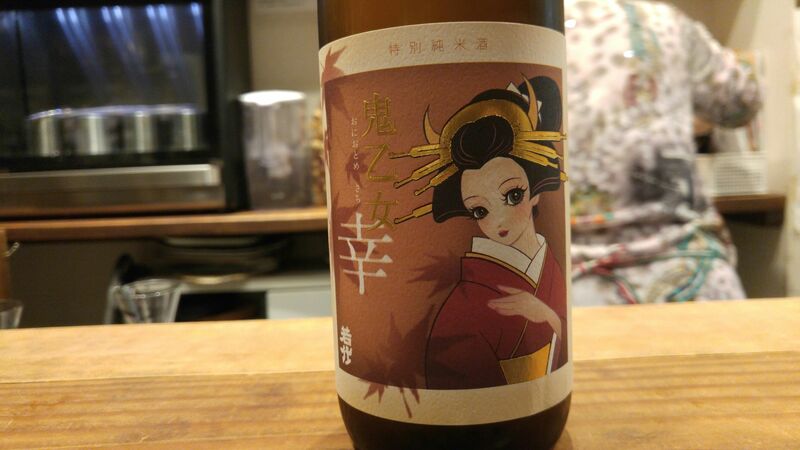 It is the third of Oniotome/the Ogre Princess series, a sake collection acquiring fame all the country! Aroma: subtle, floral and fruity. Pineapple, banana. Tate: soft dry attack. Flowers. Very dry pears and apples. Dry raisins. Disappearsquickly enough warming up back of the palate with plums and oranges. Tends to mellow down with food and end on a sweeter note. 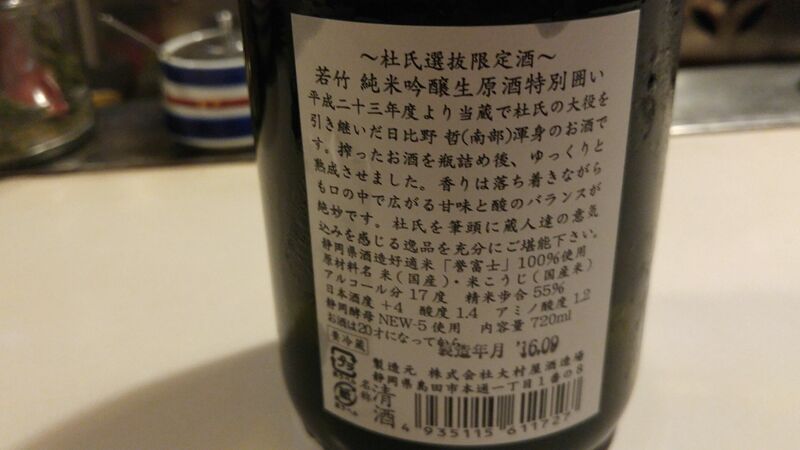 Comments: very elegant and dry sake, typical of Oomuraya Brewery. Very sophisticated in spite of the modest Homare Fuji rice. Makes for a splendid aperitif! Recommende pairings: Fresh asparagus, sashimi. 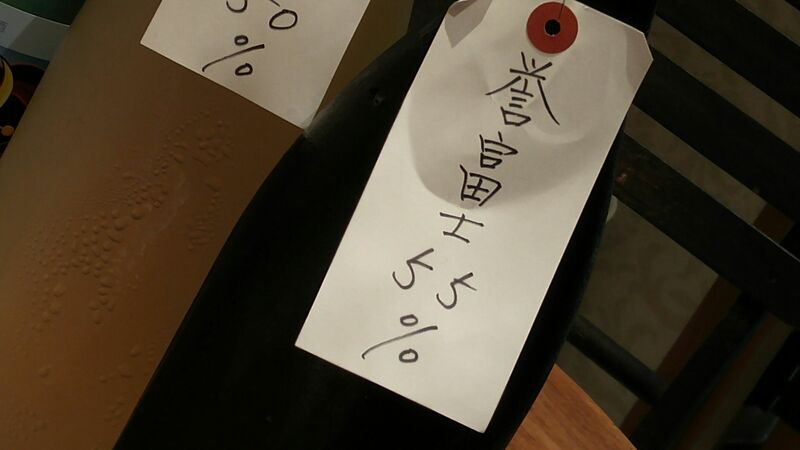 Satoru Hibino, master brewer at Oomuraya Brewery in Shimada City has come up with a limited edition labeled with his own name! 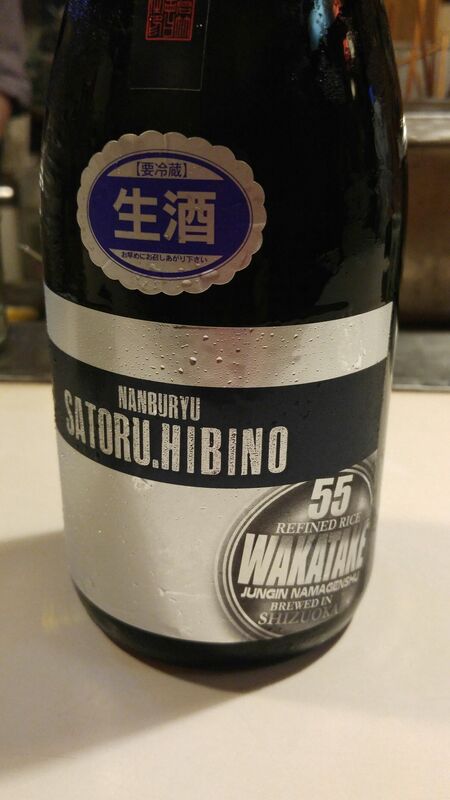 Satoru Hibino belomngs to the Nanbu School of brewers which originated in Sendai. 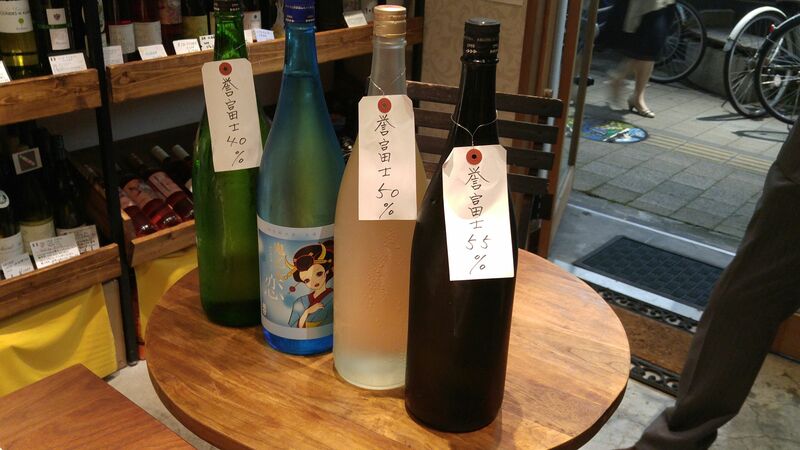 Nanburyu (Nanbu School of sake brewers) Satoru Hibino 55 (millage) Wakatake (generic name of that particular sake)Junmai (no pure rice alcohol blended in) Ginjo Nama (unpasteurized) Genshu (no pure water blended in) Homarefuji (sake rice grown in Shizuoka Prefecture)! 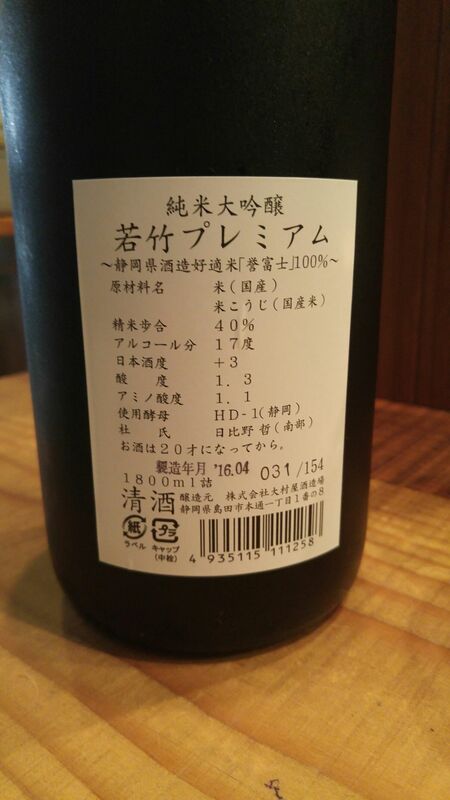 Taste: dry and very fruity attack backed up by puissant junmai petillant and pleasant alcohol. Complex: plums, melon, chestnuts, sweet potato. Lingers for a while before departing on notes of mandarines. Turns drier and deeper with food. Overall: splendid sake to be enjoyed on its own or with a meal, at any temperatures although at its best slightly chilled. Will reveal new facets with rise in temperature. Can be enjoyed as an aperitif as well as a digestif! Recommended pairings: foie gras, blue cheese, pickled vegetables. 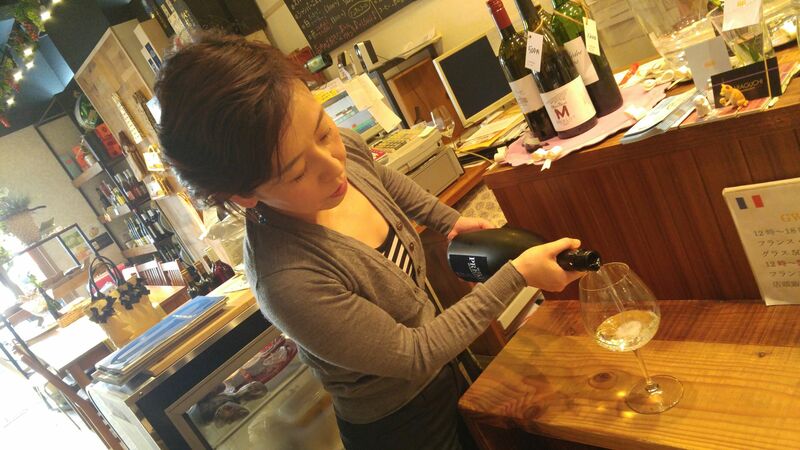 This time we tasted a very special and extravagant sake by Oomuraya Brewery in Shimada City! 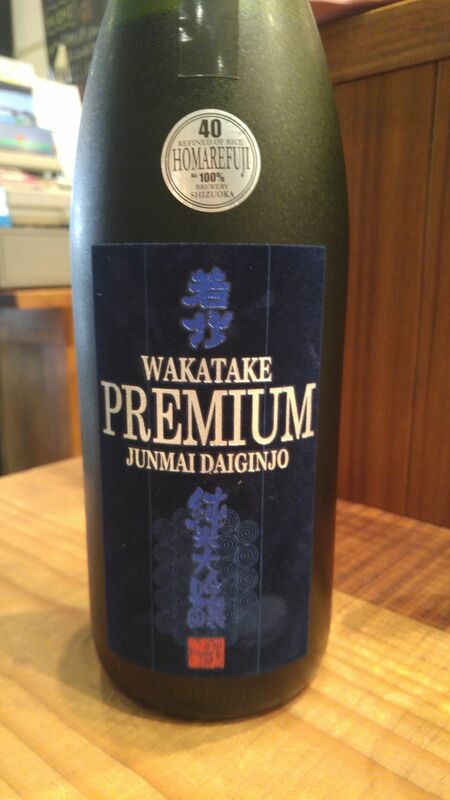 Wakatake Premium Junmai Daiginjo Genshu Homarefuji! 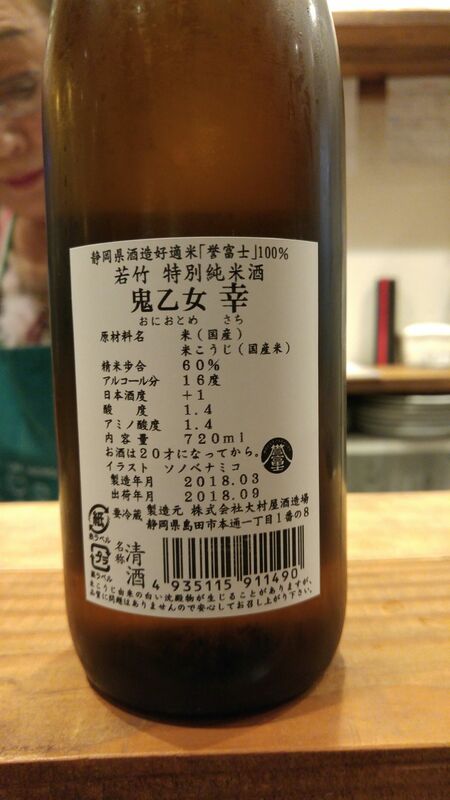 This is still the only Junami Daiginjo made with Shziuoka Prefecture-grown Homarefuji sake rice in the whole Prefecture! It was conceived by Master Brewer Wataru Hibino/日比野哲杜氏! Aroma: Assertive and fruity. Lychees, faint pears, melon and banana. 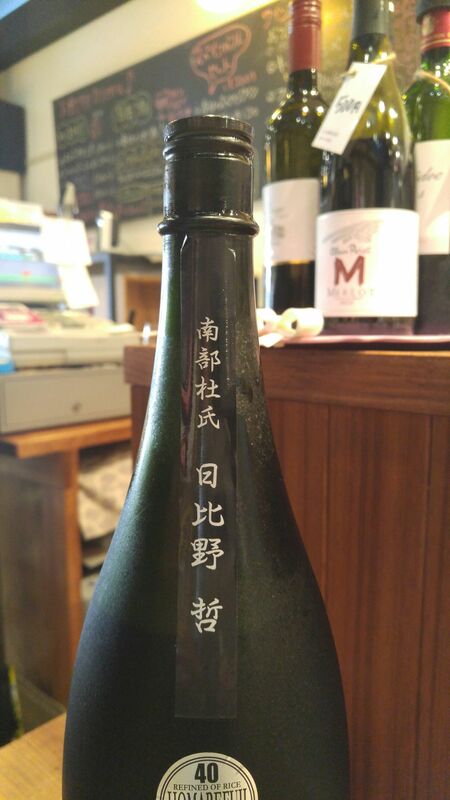 Taste: Strong, dry and fruity attack backed with beautiful junmai petillant. Lingers for a while on the palate before departing on drier notes of oranges and apricots. Lychees make a constant comeback with every sip. Very pleasant alcohol but not overwhelming in spite of its high contents. Will actually milder with rise of temperature. Overall: Extravagant, elegant and really masculine despite its complexity. Will of course please ladies thanks to its superlative balance in strength and elegance. 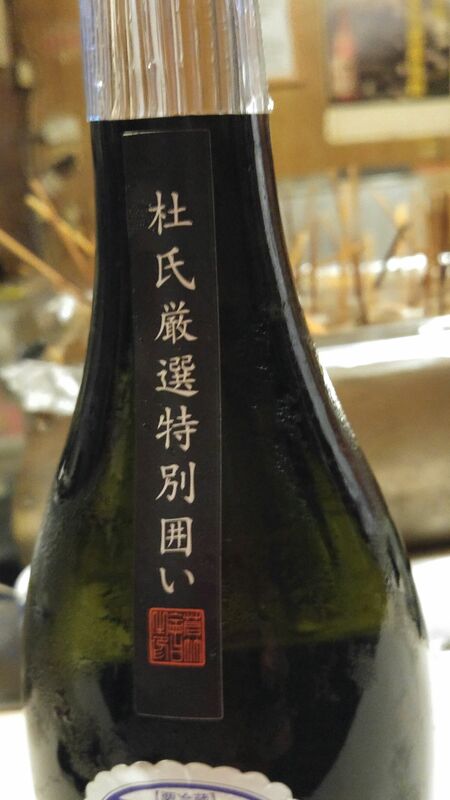 A sake which ought to be tasted and enjoyed on its own but if you must absolutely pair it I would recommend blue cheese, chocolate, foie gras or broiled conger eel. Definitely a high class digestif! 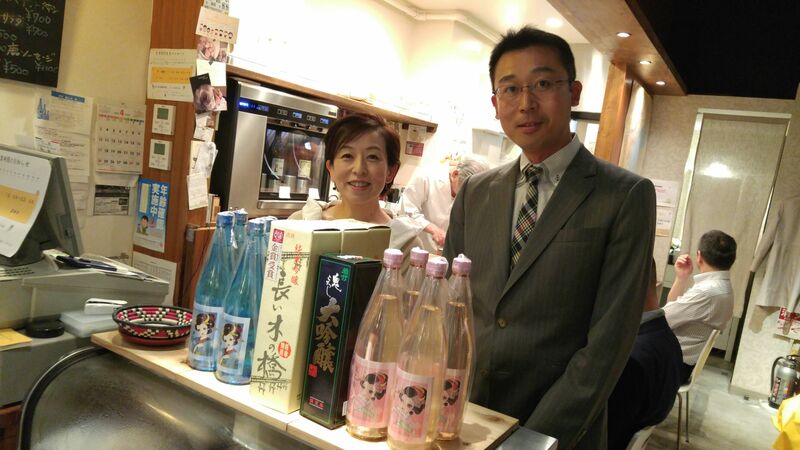 On Friday, April 22nd, A special sake tasting party was held at La Sommeliere in Shizuoka City, Aoi Ku, Miyuki Cho, with Master Brewer Wataru Hibino/日比野哲杜氏 who brought four different sake all made with Shizuoka-grown homarefuji sake rice! All Junmai (that is no pure rice alcohol blended in!)! 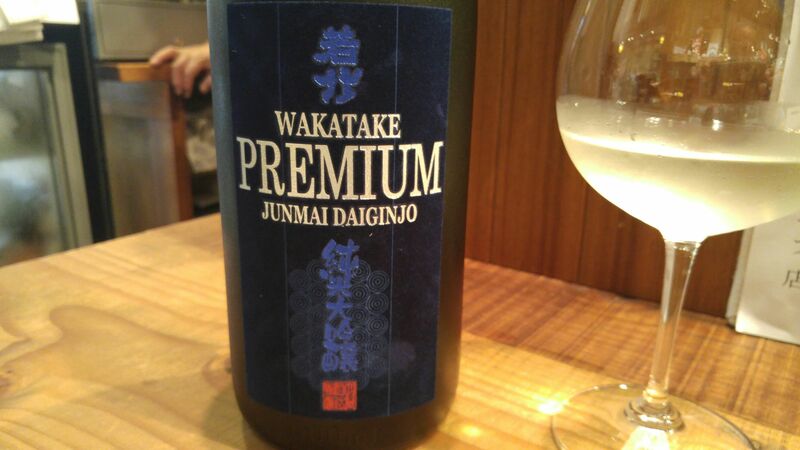 Our fourth tasting was a Junmai Ginjai would eventually be called Wakatake Junmai Ginjo! 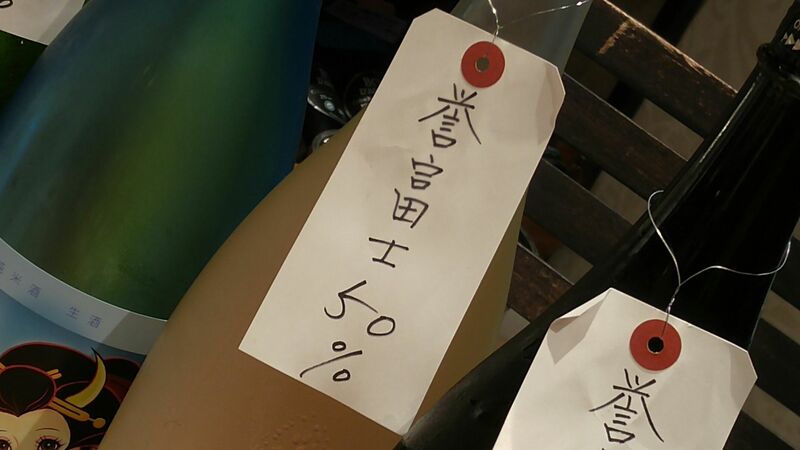 Taste: dry and fruity attack backed up with puissant junmai petillant. Complex: banana, vanilla, almonds, lychees. Lingers for a while before departing on notes of sweetish lychees. Varies little with food but for some oranges. 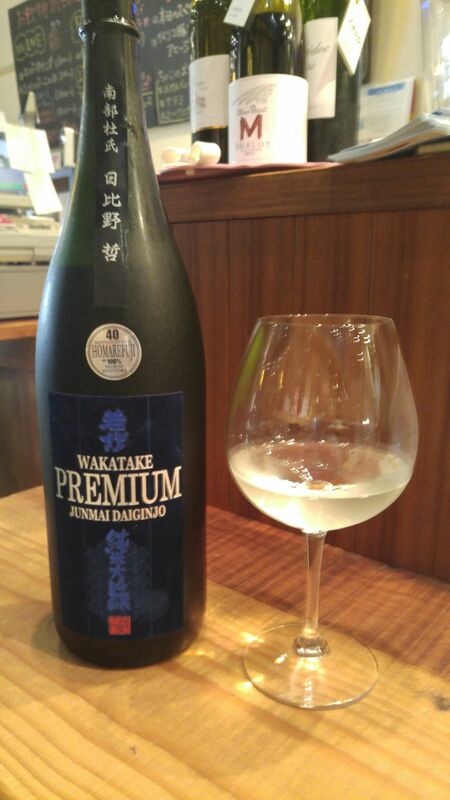 Overall: Another elegant and intriguing sake! Would do do well with any vegetable-based food although eminently enjoyable on its own! 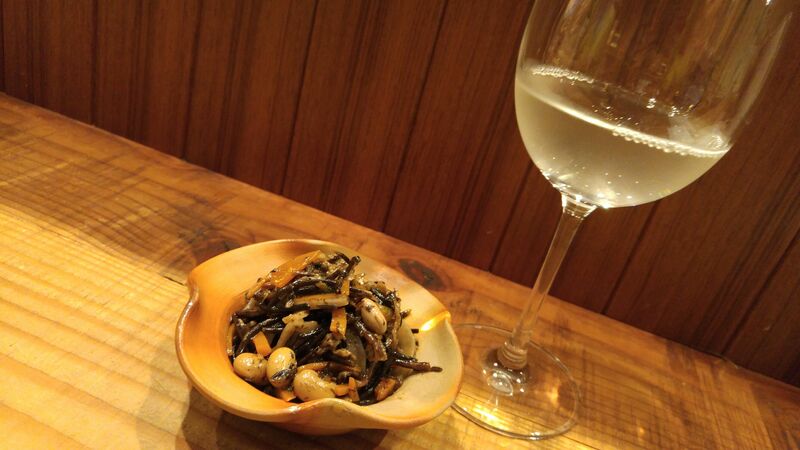 Suggested pairings: Shrimps salad, bamboo shoots dishes. 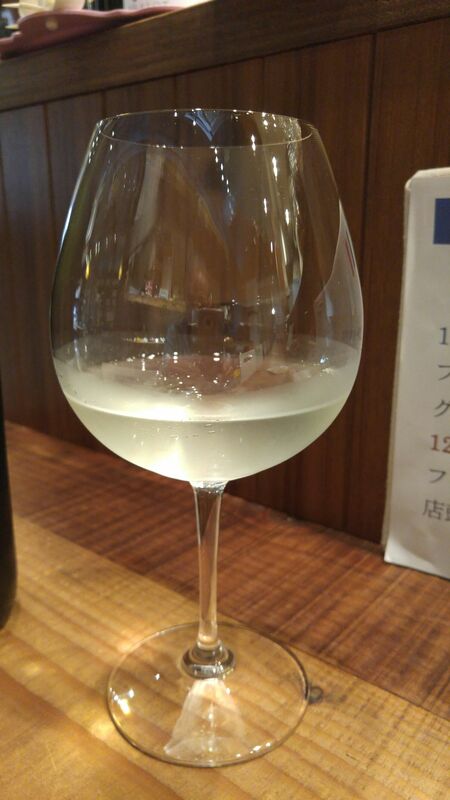 Our third tasting was Junmai Daiginjo which will be called “Take no Kaze/Wind in the Bamboos” when it is bottled! Aroma: dry and discreet. Pears. 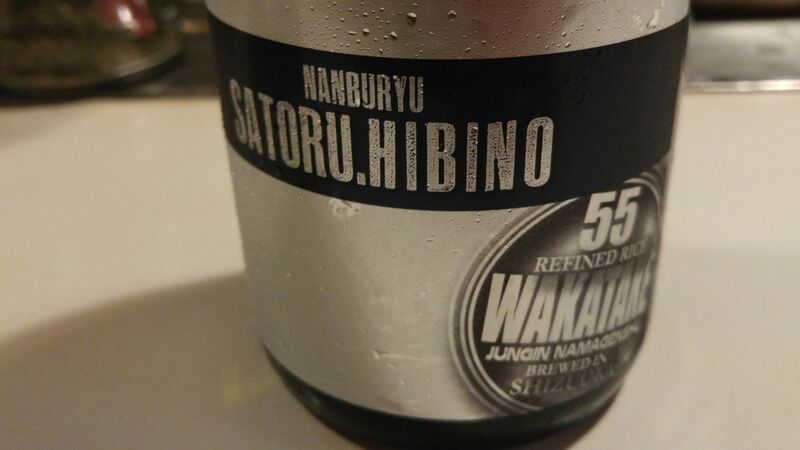 Taste: very dry and dry fruity attack backed up a little junmai petillant. Lingers for a little while before departing on drier notes of lychees, and coffee beans. Turns a little sweetish with food at first but quickly switches back to dryness. But a dangerous ones as it slyly entices you to try the next cup and the next cup! Suggested pairings: light vegetable stews.